Porth heads Daimlers van unit until April. Wilfried Porth will be Daimlers next board member for human resources and labor relations. Porth starts his new job April 8, 2009, following Daimlers annual general meeting. He has a three-year contract. The 49-year-old executive currently is in charge of Daimlers vans unit. 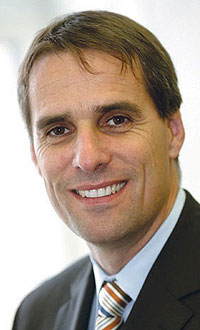 Porth succeeds Guenther Fleig, who has been Daimlers human resources boss since October 1999. Fleig was named labor relations director later. Fleig will step down because Daimler requires executives to leave the board once they turn 60. Fleig will reach that age in February 2009.